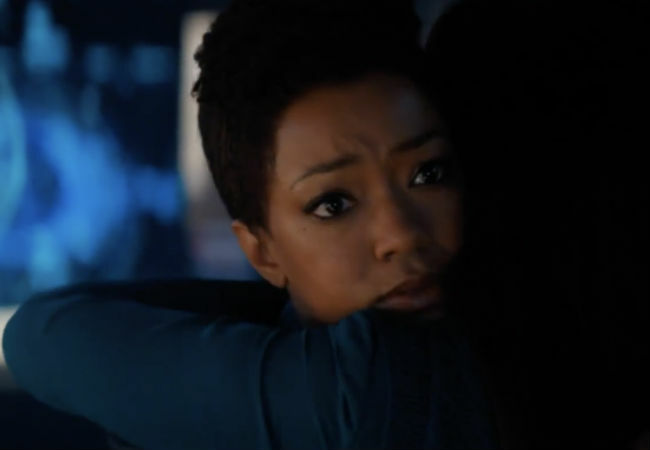 The big question for this episode of Star Trek Discovery, entitled “Point of Light” (or seven of them but it’s only one episode and who’s got time, narratively-speaking, for seven of the damn things?) is whether in space, people can hear you scream in response to your familial angst? 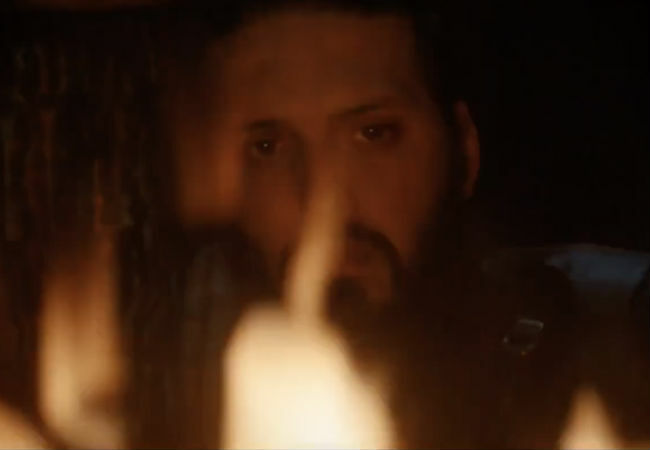 It’s hard to say with any certainty if that’s the case, but in a slow and winding episode which bounced between the fiery Klingon homeworld of Q’onoS where L’Rell (Mary Chieffo) and her Torchbearer Ash/Voq (Shazad Latif) are trying to fend off ambitious Klingons who want the Chancellorship for themselves (and trying to work if they’re an item, a loaded question given their, literally, torturous history), and Discovery where Michael Burnham’s (Sonequa Martin-Green) mum, Amanda Grayson (Mia Kirshner), has popped by for a spot of “What the hell’s happening to my son, and can you break some Federation laws to find out”. It might sound like a lot of ground to cover, and in some ways it is, especially when it comes to L’Rell and Ash/Voq who are there for each other but yet not on a planet which clearly hasn’t yet met a fiery furnace it doesn’t love, but “Point of Light” does a reasonably neat job of moving between the two main threads and even finding some time to delve into why darling sweet Tilly (Mary Wiseman), star of the Command Training Program, has gone all Sixth Sense and is seeing dead people; specifically her childhood friend May Ahearn (Bahia Watson). In some ways, for all the familial gravity of the other two threads, it’s Tilly’s thread that carries with it some reasonably potent emotional resonance. The brightest, cheeriest person onboard Discovery, Tilly is also fearsomely talented and intelligent, a woman who not only wins the Command Training Program’s half marathon, which almost mows down Michael at the start of the episode, but who actually gives a damn about the people around her. Not that Michael, Captain Pike (Anson Mount) and Saru (Doug Jones) don’t; it’s more that Tilly lives and breathes how much she cares, her heart not so much on her sleeve but adorning her entire body. She is the living, breathing heart of Discovery, and thus the show, and to see her in so much anguish, afraid she’s going mad as Ahearn, who weirdly for a ghost has no idea what tears are (you know what that means right? Alien infestation! Get the DNA fumigator pronto! ), won’t go away, is heartbreaking. And while the explanation for why she’s seeing Ahearn is straight out of the Star Trek Alien Possession Playbook, it’s handled with real emotion and gives Stamets (Anthony Rapp) a chance to ride to the rescue, so to speak, drawing the eukaryotic organism, a fairly opinionated sassy multicellular fungus, into a bright, shiny blue thing. Quite what the lifeform wants isn’t clear yet but she’s persistent and no doubt we haven’t seen the last of her yet. In finest Star Trek tradition, of course, where standalone stories nestle snugly into ongoing arcs, “Point of Light” also gave us Klingon War: The Sequel in which Klingons proved once again why they are the most disagreeable race in the universe. Quite frankly, when you watch them constantly fighting for the spoils of peace and warlike badly-tempered children in a playground, you wonder how it is they managed to not only climb out of the version of the primordial ooze but stay still long enough to build flashy spaceships, and towering cities. Yes, they are a militaristic race so it stands to reason that nothing would stay too kumbayah-ish for long, and honestly it doesn’t surprise anyone that Kol-Sha (Kenneth Mitchell), head of the House of Kor, would be gunning for L’Rell’s scalp pretty quickly after her nuclear-fuelled ascension to power. How he does it, of course, is pretty low rent even for a Klingon. Finding out thanks to some red eavesdropping paint – yes there is such a thing so clearly the Klingons stop knifing each other for some fairly nifty R & D – that L’Rell had a son with Voq whom she has secreted away seeing him as a “vulnerability”, he kidnaps the infant, murders L’Rell’s uncle Ujilli (Damon Runyan) and puts the Chancellor in a fairly uncomfortable position, one in which she’ll have to give up power to get her son back. For into the fray, in which everyone doesn’t sweat a bucket despite the endless, constant fires, rides, ta-dah!, one Emperor Georgiou (Michelle Yeoh), now with Starfleet’s shadowy freaks and spooks division Section 31, who engineers the deaths of Kol-Sha and his men, a neat solution to L’Rell’s power struggles which involves Ash/Voq joining Section 31 and the kid going to a Klingon monastery and the whole Klingon empire living happily ever after. Well, until the next time sometime looks sideways wrongly at someone else anyway. The big familial moment of the episode though was the arrival of Amanda Grayson with Spock’s mental health assessment files from Starbase 5 which she hacked, like any mother and diplomat’s wife would, when no one would tell her what was going on with her dearly beloved. She’s not alone in being stonewalled by the Federation’s top psychiatric minds. Not even Pike, who as Spock’s captain should be able to get an update on the status of one of his crew members, can get an answer, with Spock’s case declared “classified”. 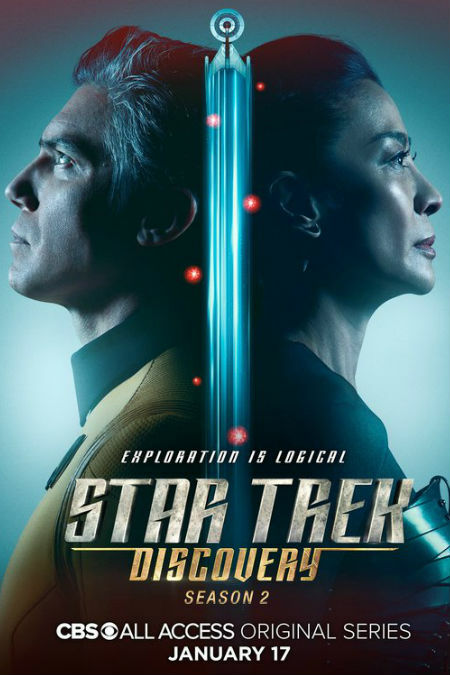 No one knows exactly but the dearth of a free and open exchange of information impels Pike to agree to hack into Spock’s files, during which Amanda and Michael find multiple images of the mysterious Red Angel which apparently Spock has been seeing for years. Yup, the being that recently appeared to and saved Michael, and who is linked the transported humans being taken to the Beta Quadrant and lord knows what else, has been taunting Spock for years sending him mad, forcing him to withdraw from his family and driving a wedge between him and Michael. Well, to be fair, it sounds like Michael did that all by herself but certainly whatever it is she did, was made all the more unforgivable by Spock’s fragile state of mind, and she admits to Amanda that she did Something Bad, the relationship between mother and daughter sours a little. Yep, the Sareks are One Big Unhappy Family and whatever this Red Angels is, she/he/it needs to be prepared to pony up for some fairly serious therapy once all the red lights and strange celestial goings-on is sorted. If there’s one thing you can walk away from “Point of Light” knowing, it’s just family, whether born or made, is a tenuous construct, one that may not survive all kinds of galactic skullduggery and mystery. Quite whether everyone emerges intact from the events of this season remains to be seen but right now, it’s not exactly warm and rosy on the family front for L’Rell and Ash/Voq nor Amanda and Michael and I get the feeling this could just the start of a whole lot more turmoil.